The Yantra to become a wise person should be prepared during the specific period of the most beneficial and auspicious Ravi Pushya Amrit Yoga, on a Bhojpatra with a small pointed wooden twig, using Ashtagandha Paste as the ink. Then, it should be kept on a wooden board and worshiped by lighting a Dhoop Stick and Oil Lamp in-front it it. 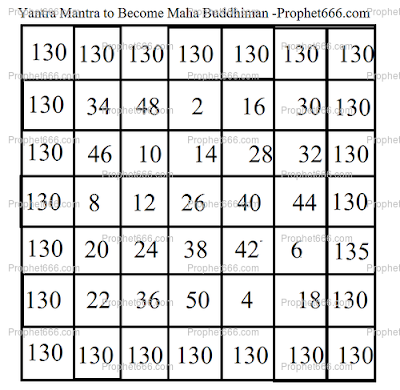 The practitioner should, then sit down in-front of the Yantra and chant the Mantra given below 125,000 times in order to infuse its power into the Yantra and fully energize it. 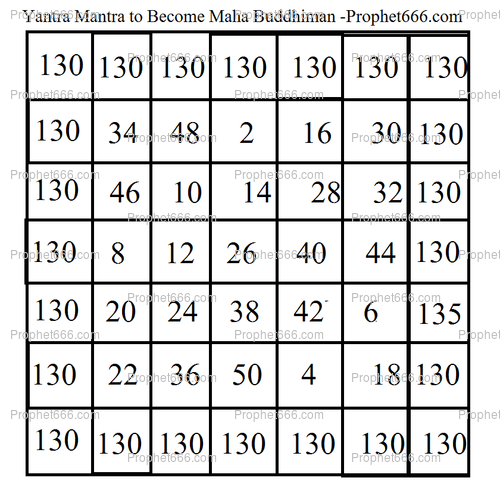 The prescribed number of Mantra Chants can be divided into a fixed number of repetitions per day in order to complete the energization process in a fixed number of days. It is recommended that this period should be as short as possible. After energizing the Yantra, it can be put inside a Gold, Silver or Copper Locket and worn around the neck. This as per the writings of the Tantra will stimulate the mind in such a way that will enhance the wisdom of the wearer.